We are currently experiencing environmental conditions that may impact water quality in our area. The safety of our visitors is of the utmost importance to us and we have compiled information on the conditions that may be present to help you with your trip planning. Please use this page as a resource as it is updated as conditions change. We also encourage you to reach out directly to your hotel or accommodation contact as they will have the most relevant information on whether or not the area in which you are staying may be impacted. Tourism is a vital industry in Martin County that depends on the support of our local community. We’ve got a lot of work ahead of us in protecting our paradise, and we urge you to stand with us in the meantime by continuing to support our many locally owned, tourism-dependent businesses. We are actively promoting the many areas of our county that are untouched and open for business, including attractions, shopping, arts, and events. As we work to protect our paradise, it is important that we remember and share the things we love most about Martin County. 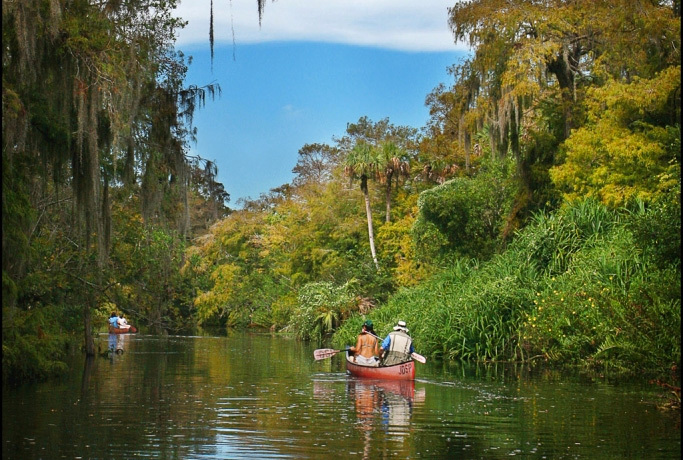 While our waterways are threatened, there are still countless activities to enjoy in the area. What is the current condition of the beaches? For the latest information, please call the beach hotline at any time at 772-320-3112 which is updated daily. Check out our beach cams to get a first hand view of current conditions. All beaches are tested weekly and results are posted at Florida Healthy Beaches Program website. Recreational Water Quality Criteria reflect the latest scientific knowledge, public comments and external peer review. The criteria are designed to protect the public from exposure to harmful levels of pathogens while participating in water-contact activities such as swimming, wading and surfing in all waters designated for such recreational uses. In the last few years the acceptable levels have been lowered in an effort to protect citizens. In 2012 the acceptable level was 110, it was then lowered to 104, and earlier this year the Recreational Water Quality Criteria was reduced to 71. Through the Healthy Beaches Monitoring program, the Martin County Health Department, Division of Environmental Health, conducts beach and river water sampling in eight locations throughout the county every other week. In addition, the Martin County Health Department conducts weekly St. Lucie River sampling at four sites. These sites are sampled as a special monitoring project and the repots may be found here. Oct. 1, 2018 – Gov. Rick Scott on July 9 declared a state emergency regarding algal blooms in seven Florida counties. Blue-green algae is a group of organisms that thrive in freshwater but can be found in saltwater or in mixed brackish water. It is important that adults, children and pets avoid swimming in or drinking water containing blue-green algae. It is best not to come in to contact with water in areas where you see blue-green algae. Martin County is taking part in a pilot program funded by DEP to remove the blue-green algae from some of its most impacted waterways. It will remove, process and dispose of harmful algae blooms from select test sites. Blue-green algae, or “cyanobacteria,” are natural to the environment’s food chain and are found all over the world. They are actually a type of bacteria but, like plants, they can use sunlight to grow. Blue-green algae are a group of organisms that are among the oldest on the planet. They can be found in marine waters as well as freshwater and brackish habitats. Some – not all – blue-green algae can produce toxins that can contribute to environmental problems and affect public health. Those blue-green algae that are known to produce toxins do not always do so. Little is known about exactly what environmental conditions trigger toxin production. Blooms can float on the surface and be several inches thick or they can lie below the surface of the water. Blooms can disappear from view or move to different parts of a waterbody. Blue-green algae multiply quickly in water bodies with high nutrient levels such as phosphorous or nitrogen, and particularly when the water is warm and the weather is calm. That’s why blue-green algae are most common in Florida in the summer and early fall, with its high temperatures and abundant sunlight, although they can occur at any time. Waters that flow slowly with low turbulence – such as impounded rivers, dams, or water storages – are at particularly high risk of algal blooms. Blue-green algae growth can become seemingly explosive when lots of nutrients are present, providing a rich feast that can then cause “blooms” that may look like floating carpets of blue-green algae turning the water green. Increased nutrient loading in our waterways has likely contributed to increased frequencies of blooms in our freshwater systems. How long do the blooms last? Blooms can last days, weeks or months, depending on conditions. Scientists cannot predict when or where blooms will occur or how long they will last; the blooms run their course and dissipate naturally. When does blue green algae become toxic? Microcystis toxin is measured in micrograms / liter. Over 10 micrograms/liter triggers posting of “no human contact” signs. Florida Department of Environmental Protection has a sampling schedule and posts results from samples tested here. Along the Florida East Coast over the past week, no K. brevis was observed in Martin County. Beaches are guarded, however, conditions may change. Residents and visitors are encouraged to call the beach hotline at 772-320-3112 for current conditions and to seek the assistance of EMT/Lifeguards on with any questions or concerns while at guarded beaches. In Florida, red tide is a naturally occurring microscopic algae called Karenia brevis or K. brevisthat is present in background conditions throughout the year in the Gulf of Mexico. It occurs in salt water and when natural conditions are right, the organism can form blooms off the coast producing a toxin that can affect the central nervous systems of fish and wildlife. At high concentrations, the blooms may discolor the water – sometimes red, light or dark green, brown or clear. Most people can swim in red tide, but it can cause skin irritation and burning eyes. If you experience irritation, get out and thoroughly wash off with fresh water. What are symptoms from breathing in red tide toxins? For most people, symptoms are temporary. Some people may experience eye, nose, and throat irritation, as well as coughing, wheezing, and shortness of breath when on the beach or in an area near a red tide bloom, particularly when winds are blowing onshore. According to the Florida Department of Health, people with severe or chronic respiratory conditions should avoid red tide areas. Red tide blooms can last days, weeks or months and can also change daily due to wind conditions. Onshore winds normally bring it near the shore and offshore winds drive it out to sea. Can people swim in red tide? Florida Fish and Wildlife Conservation Commission states that most people can swim in red tide, but it can cause skin irritation and burning eyes. If you experience irritation, get out and thoroughly wash off with fresh water. Can pets swim in red tide? If your pet swims in a red tide bloom at the beach, rinse thoroughly with fresh water as soon as possible. Don’t let your pet play in sea foam near a red tide bloom. Who can I contact to report a blue-green algae bloom or to get more information about water quality? Please report algae blooms or sightings to the Florida Department of Environmental Protection (DEP) at (855) 305-3903 or online here. Martin County is home to over 100,000 areas of parks and conservation land get out and explore. Our natural Florida terrain teems with ocean side and lakeside trails, preserve woodlands, and wildlife parks for hikers, bikers and fishing enthusiasts. Don't forget to visit the many historical landmarks that make Martin County truly a one of a kind destination! 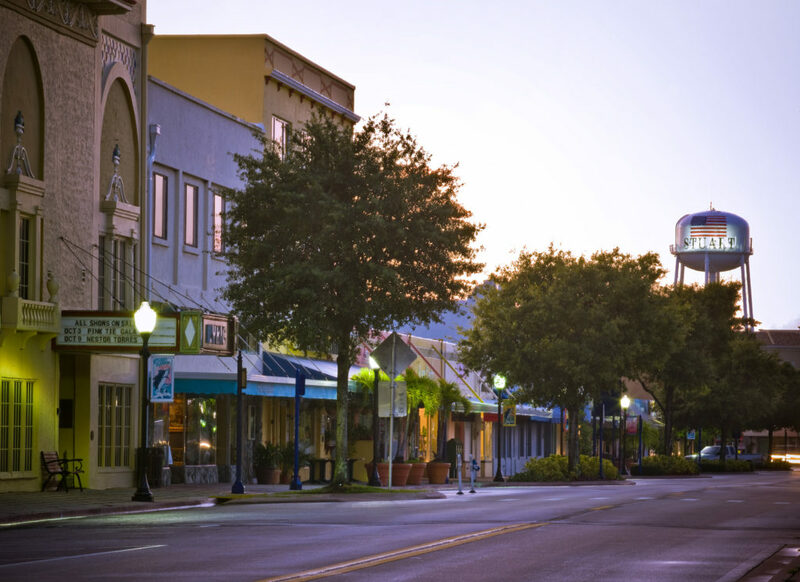 Historic Downtown Stuart is home to over 50 locally owned shops, restaurants, boutiques, antique shops and art galleries all in a charming old Florida atmosphere! Three times as much money stays in your community when you shop local, independently owned, brick and mortar businesses. The Office of Tourism and Marketing is diligently continuing to promote Martin County. We are working closely with County staff and officials to remain informed about water conditions. Martin County staff is in daily contact with the Army Corps of Engineers, Environmental Protection Agency, Florida Department of Health and other agencies regarding the releases. Should water conditions change signs will be posted for safety. If there are no signs posted, the water has been deemed safe at that time and you can enjoy various water activities. If signs are posted, please avoid contact with those areas. Tourism is a vital industry in Martin County and we urge you to stand together with us in helping support our local businesses during these challenging times.